NEW!! 3 Quart!! It’s here!! 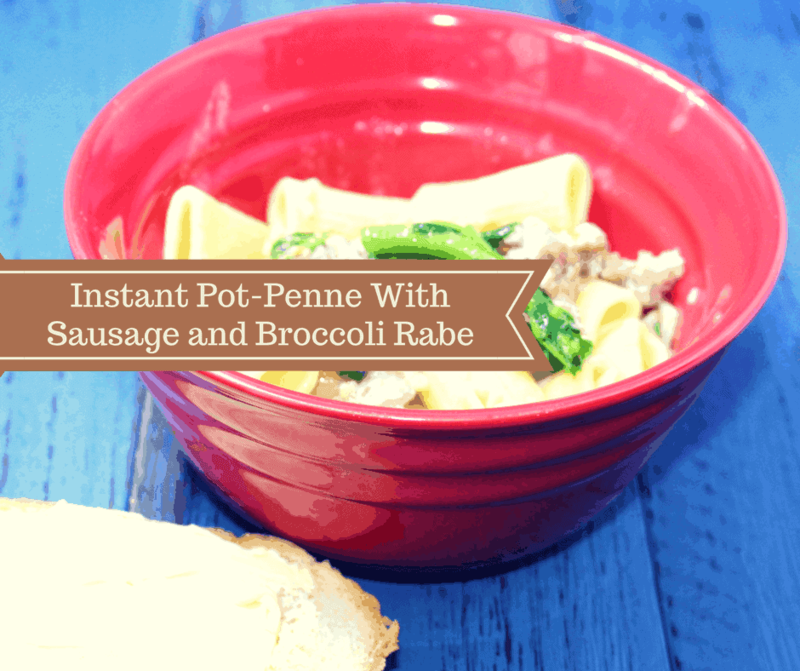 both of my children loved this recipe. I loved being able to serve them one of their favorite meals, quickly. 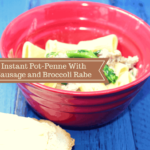 And with the inclusion of the broccoli rabe, it makes it a really healthy meal. 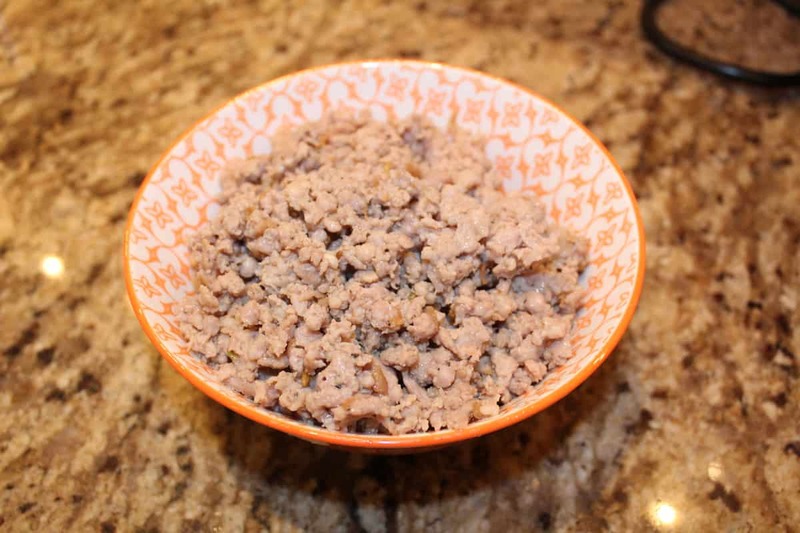 Start by adding the sausages (with the casings removed) to the Instant Pot. Press the saute’ button and saute until they are all brown and crumbly. 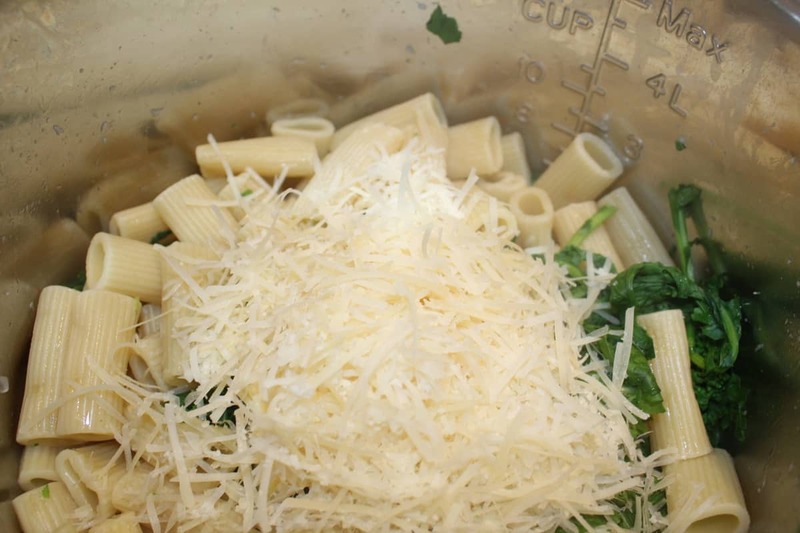 Then add the uncooked pasta to the Instant Pot. Add enough water to cover, so they don’t get dried up. Set the high pressure for 4 minutes, and then a quick release. 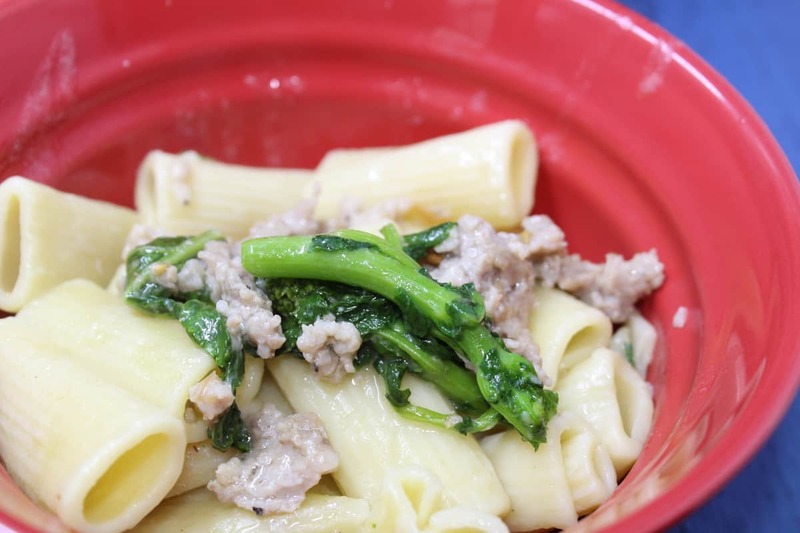 Then add the broccoli rabe (and press the saute’ button) and follow complete directions in the Recipe. Once it’s all cooked, notice how soft the broccoli rabe is. 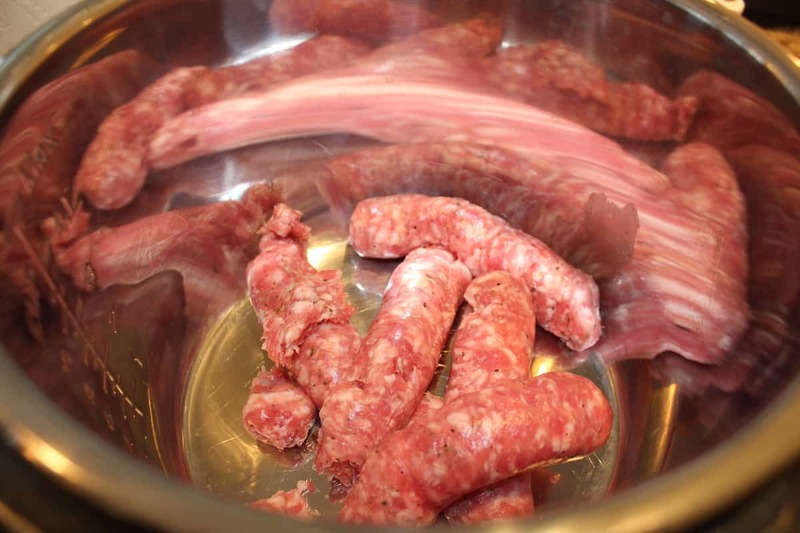 Add back the sausage, and mix well. 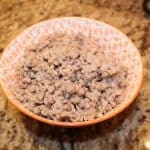 Start by removing the casings from the sausage, and then add them to the Instant Pot, saute' until they are cooked and crumbly. 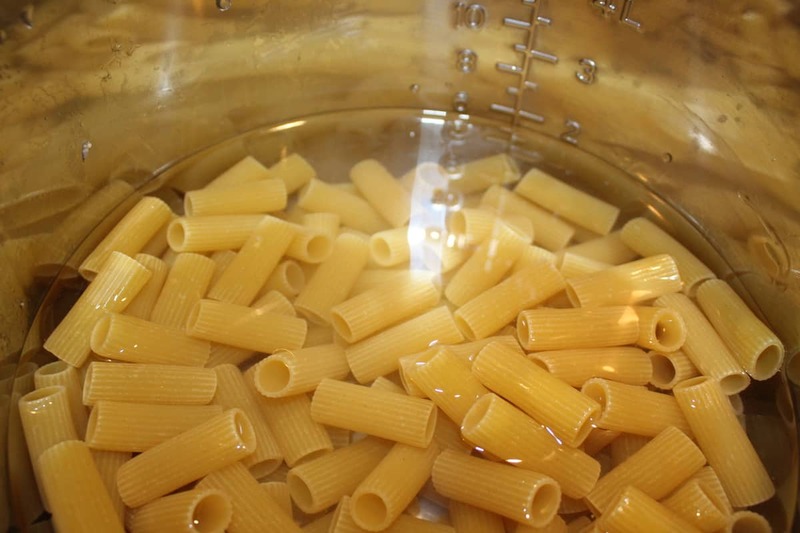 Then rinse out the Instant Pot bow, add the pasta and water. 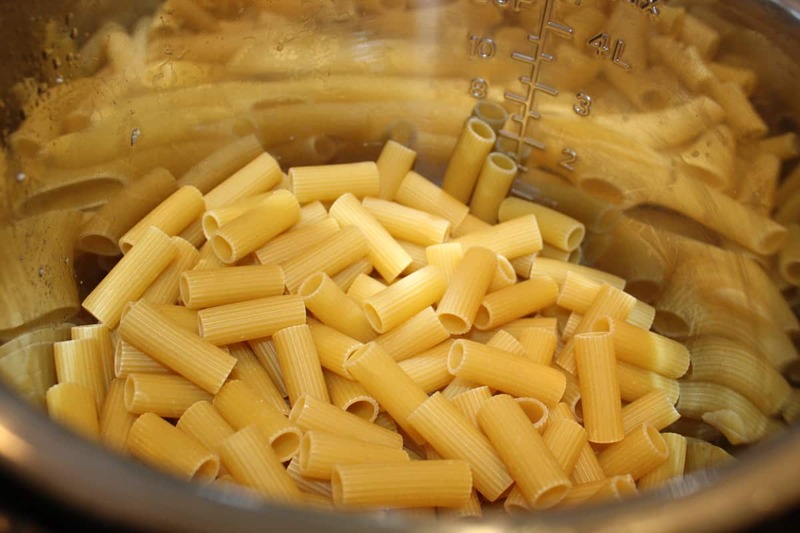 **Note: The pasta should be covered with water, watch the fill line, and make sure it's slightly over. Set the manual high pressure for 4 minutes, making sure that the vent is sealed, When the time is up, do a quick release. Drain the pasta. 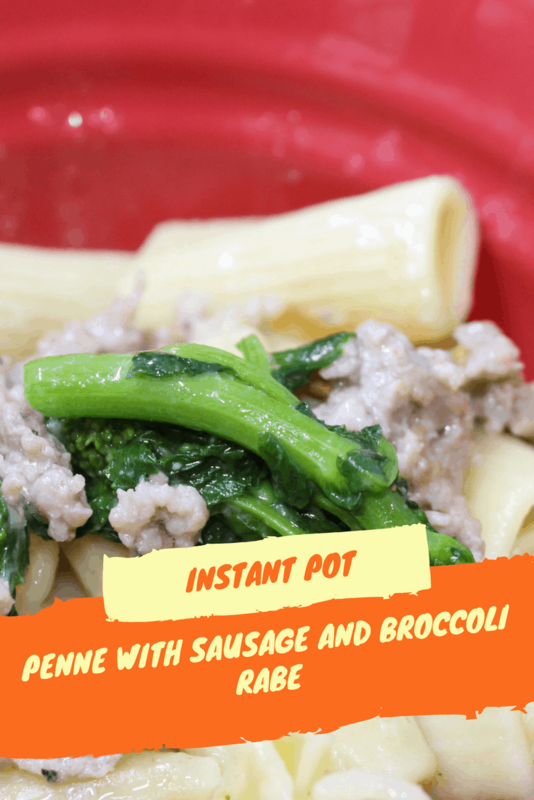 Return to the Instant Pot. 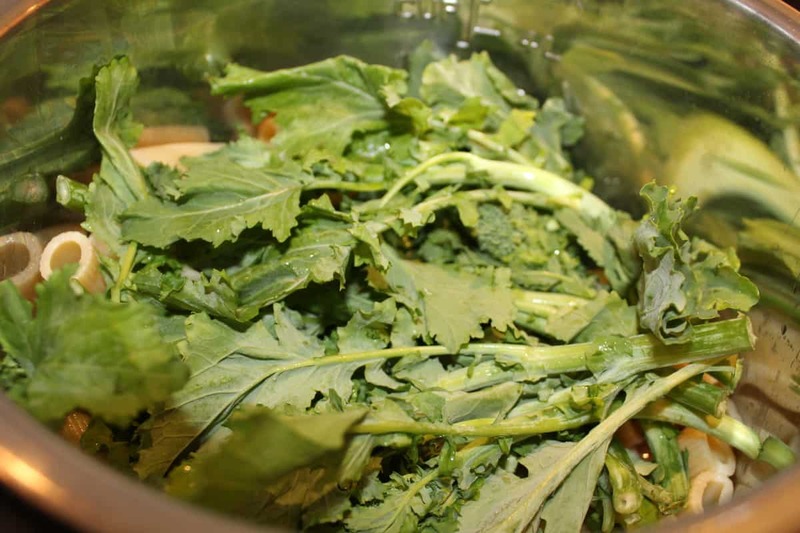 Add about 1/2 cup of water, add the broccoli rabe and press the saute' button. 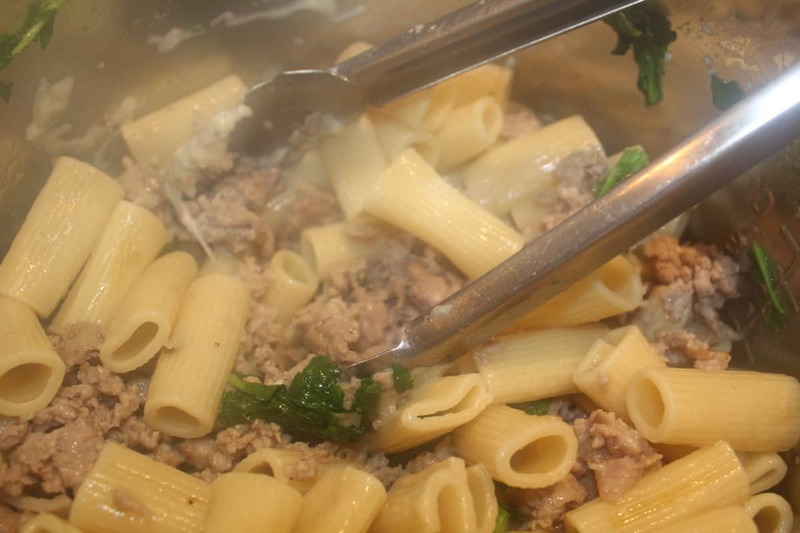 I added the lid, so that the steam from the water and pasta, would cook the broccoli rabe. It took about 4 minutes, but the broccoli was softened. Mix in the cheese and sausage.